No matter who we are or where we come from, we all deserve to have a decent life. We deserve to feel strength and stability day after day. We deserve to know we have the power to take care of ourselves and to build our own futures. 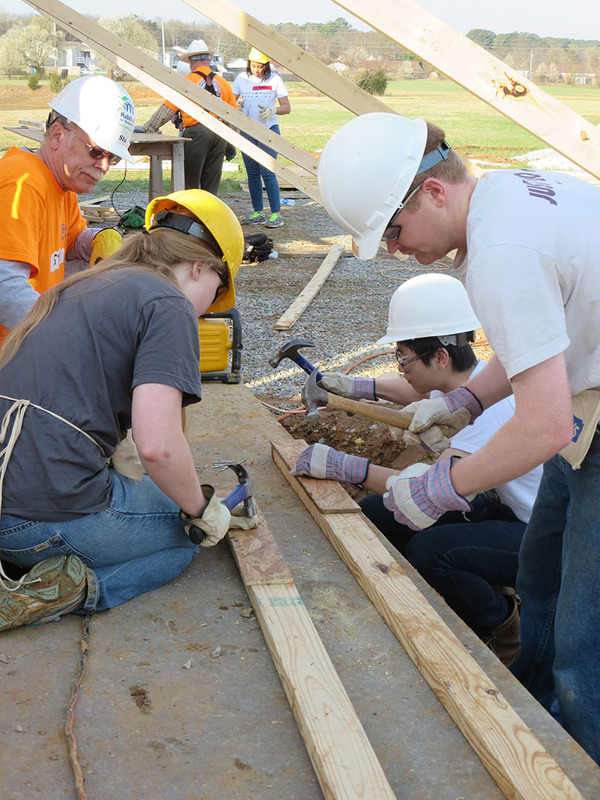 At Habitat for Humanity, this is what unites us. Through shelter, we empower. Our shared vision is a world where everyone has a decent place to live. Since our founding in 1990, Habitat for Humanity of Morgan County has held this belief at the heart of all that we do – and through the hard work and generous spirit of thousands of people like you, lives continue to be changed. We serve Decatur, Hartselle and the surrounding communities to create decent, affordable housing to improve the lives of families. With the help of volunteers, we build strength, stability, self-reliance, and shelter. Future Habitat homeowners work along side volunteers, putting in their “sweat equity” hours as they build their houses as well as those of other families in our program. Each house is sold with an affordable, no-interest mortgage. Those mortgage payments come back to Habitat for Humanity of Morgan County to build additional houses for other families in our community. Habitat houses are constructed with local funds, grant monies, homeowner mortgage payments and ReStore proceeds. We support the efforts of Habitat for Humanity International by tithing 10% of our donations, unless the donation is restricted to use in Morgan County. You can make a tangible, long-term difference by donating your time and resources to our construction events, contribution fund, and ReStore retail center. Habitat invites people of all backgrounds, races and religions to build houses together in partnership with families in need. We invite you to help us build a stronger community today. Habitat for Humanity® International serves more than 70 countries to extend the promise of sustainable housing opportunities for deserving families across the world. As a part of our mission, we tithe. For many years our tithe has helped the Habitat affiliate in Bangladesh in support of their work to build safe and decent homes. For more information, visit the Habitat International website. We don't give homes away. We work with volunteers to build our homes, then sell them to deserving families. Interested? Talk to us today! Thank you Cerro Wire for coming out today.